Don't have time to make it in to the studio for class or sessions, but want to get some quality coaching? Or maybe you like working out on your own, but need some new training ideas. Once per month we offer intensive 1 day workshops that are a complete day of fitness training. 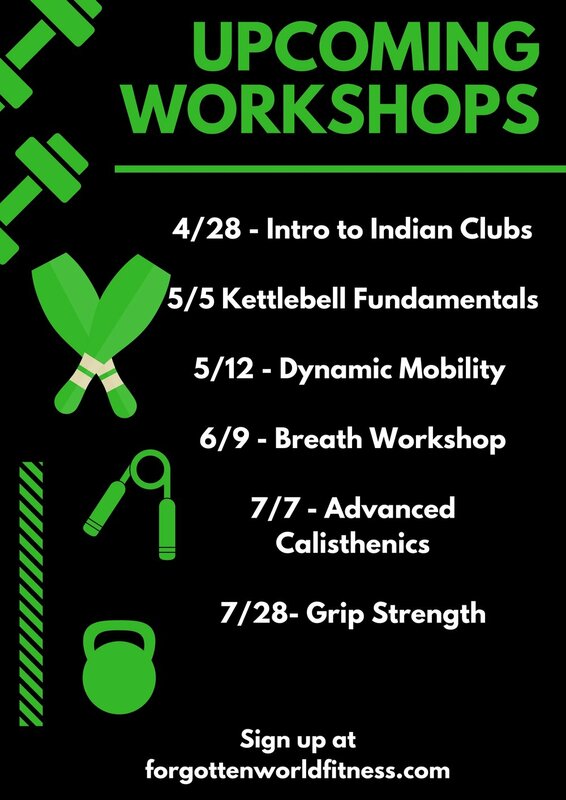 Learn new exercises or modalities of training to further expand your exercise language. Once per month we offer a free nutrition workshop. Quit wasting time with diets that don't deliver or give results that never last. Come with questions and leave with not only answers but real strategies for you to achieve your health and fitness goals.